The Poultry Association of Nigeria (PAN) Wednesday revealed that 1.2 million metric tons (MT) of frozen chicken valued at N660 billion was imported into the country in 2014. This, according to the association, was four times higher than what was produced locally, and exceeding the current industry capacity. The National President of PAN, Dr. Ayo Oduntan gave the revelation at a workshop in Abuja, on,"The Health and Economic Implications of Smuggled Poultry Products on Nigeria Economy," stressing that Nigeria presently consumes 1.5 million MT of frozen chicken annually. 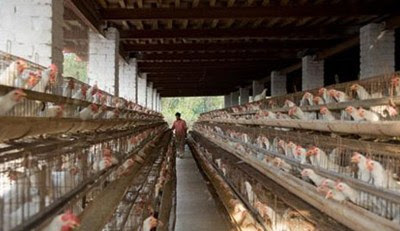 According to him, the risks inherent in consumption of products that are not thoroughly scrutinised are enormous, noting that the efforts of local producers however, continue to face the daunting obstacles posed by the activities of smugglers of poultry meat into the Nigerian market. Oduntan explained that while locally farmed poultry meat is sold without preservation, the smuggled ones are preserved with hazardous chemicals, adding that formalin load in all smuggled poultry products ranges from 42.9 to 63.3ml/kg.